The Indian Diaspora spread around the world has shown keen interest in participating in the social and development programmes and flagship initiatives of the Government of India - such as Swachh Bharat and Namami Gange. 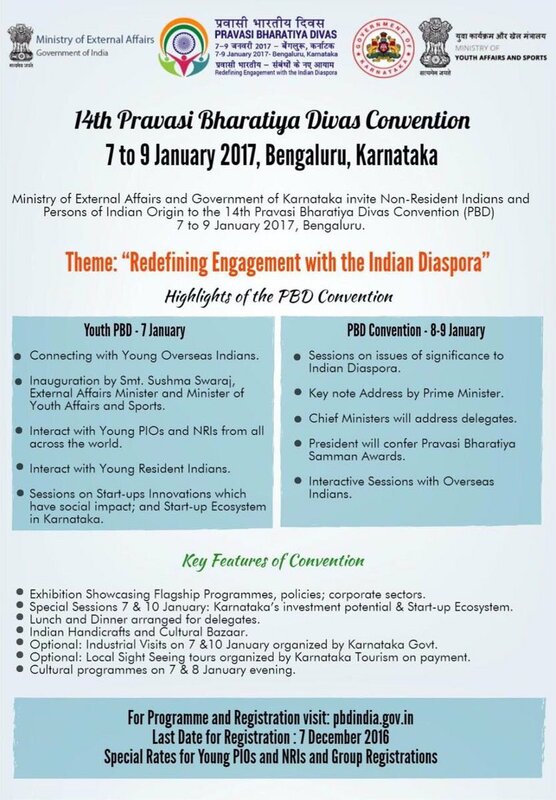 So far, there were no platforms or institutional mechanisms to channelize contributions of Indian Diaspora to such programmes. There were also concerns about accountability of the organisations receiving funds, transparency and reporting mechanisms. To facilitate such contributions/philanthropy by NRIs/PIOs to India, the Government had set up in 2008 the India Development Foundation for Overseas Indians (IDF-OI) as a not-for-profit Trust chaired by Hon'ble Minister of Overseas Indian Affairs (MOIA). Following the merger of MOIA with MEA, IDF-OI is now part of the Ministry of External Affairs (MEA) and is chaired by Hon'ble External Affairs Minister (EAM). The IDF-OI has gathered a pool of nearly 100 social and development projects pertaining to Swachh Bharat, sanitation, education, women’s empowerment and sustainable livelihood after consulting the States. The revamped website of IDF-OI [www.idfoi.org/ ] includes detailed information about these projects. Efforts are on to connect with the Diaspora through social media platforms such as Twitter and Facebook. a) IDF-OI has received exemption from MHA under the Foreign Contribution Regulation Act (FCRA 2010) owing to which it has necessary permissions to receive contributions in foreign currency. b) IDF-OI does not charge/deduct any administrative charges from the contributions it receives from NRIs/PIOs. Except the bank transaction charges the entire amount received from NRIs/PIOs is transferred to the project implementing agency. c) To enable oversight of implementation of programmes funded by overseas Indian donors an agreement will be signed between IDF-OI and project implementing agency. d) Implementing agency for the programme will send regular feedback reports, photos and statement of utilization of funds to the donor. These will also be posted on IDF-OI’s website. e) At the site of project funded by the NRI/PIO donors will get an acknowledgement with a signage which states that - “The project has been funded by Shri......... through IDF-OI”. (i) Rs.72 lakh for construction of community toilets in Kerala. (ii) Rs. 25 lakh for the Namami Gange project. (iii) Rs. 1 lakh for the Namami Gange project. IDF-OI is setting up a Payment Gateway through its website which will enable NRIs and PIOs to contribute even small amounts ranging from a few dollars using their credit cards or debit cards online to projects of their choice offered by IDF-OI. The Embassy of India in Juba would like to invite our overseas Indian friends to contribute to projects offered by IDF-OI. Presently, there are about 600-700 Indian nationals in South Sudan. Some have set up businesses in Juba, while others are working for various companies. A small number of Indian nationals also work in Christian missionary organizations and NGOs in South Sudan. In addition, there are about 2,000 Indian Army peace keeping personnel, 31 police officers and some civilian officials attached to the UNMISS and UNPOL. Indian entrepreneurship has been in evidence in South Sudan since the Comprehensive Peace Agreement (CPA) was signed in 2005 which led to the establishment of an Indian Consulate in Juba in 2007 and the Embassy in 2012 (after South Sudan's independence). Indians were among the first to open hotels, borehole companies, printing press and departmental store in Juba in early 2006. 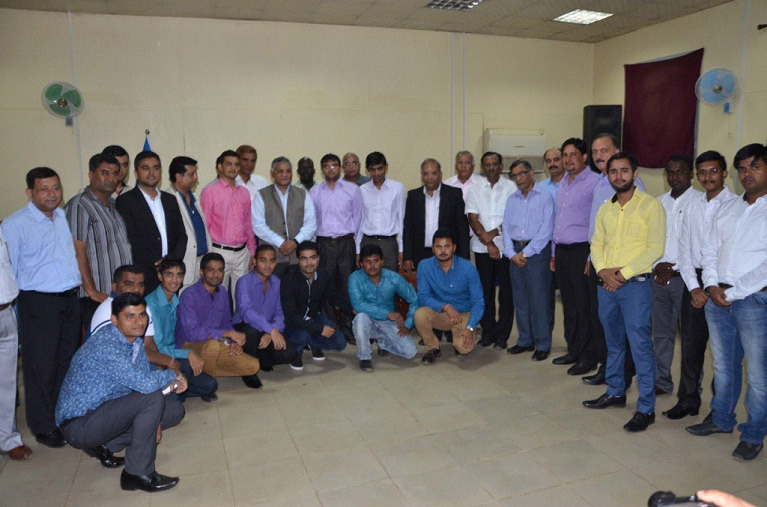 Indian nationals in Juba have formed an Indian Association. Its membership is presently around 300. The Embassy maintains close regular contact with the Indian community in South Sudan and facilitates their various social projects. Medical camps and blood donation camps have been organized regularly by the Indian Association, through participation of doctors from India, for the benefit of local South Sudanese community. The South Sudanese Health Minister has made special mention of the supportive role played, by what he called the 'hard working Indian Community' in Juba, especially during the conflict period, when the Indian community organized several blood donation camps in the city and helped to sensitize the South Sudanese people about the importance of donating blood to local hospitals in times of need. As part of efforts for outreach to members of the Indian community, there are regular open-house meetings where issues affecting the Indian nationals are discussed and resolved.